This was the perfect weekend to test Jane Iredale’s PureMatte Finish Powder. I had a baby shower in the afternoon and the Ballet in the evening. I needed all day coverage. This amazing finishing powder is from the PurePressed collection, it’s a finishing powder that behaves like a foundation, concealer/ SPF 20 all in one. It’s formulated with anti-inflammatories, antioxidants and it’s non irritating, meaning no talc, FD&C dyes, paraben, synthetic preservatives or fragrance. Since I’ve started taking better care of my skin and testing these amazing skincare products I’m concerned with the makeup I use – I care about what I put on my skin. This PureMatte finish powder provides more protection in one easy application,while providing a more natural and youthful appearance. My skin was shine free and radiant all day. Plus I love the luxurious gold compact, it’s refillable and gorgeous! Jane Iredale worked with Plastic Surgeons and Dermatologists to develop a makeup collection that is as aesthetically pleasing as it is good for the skin – Jane Iredale is the skin care makeup. There are 24 shades available, one for every skin tone. 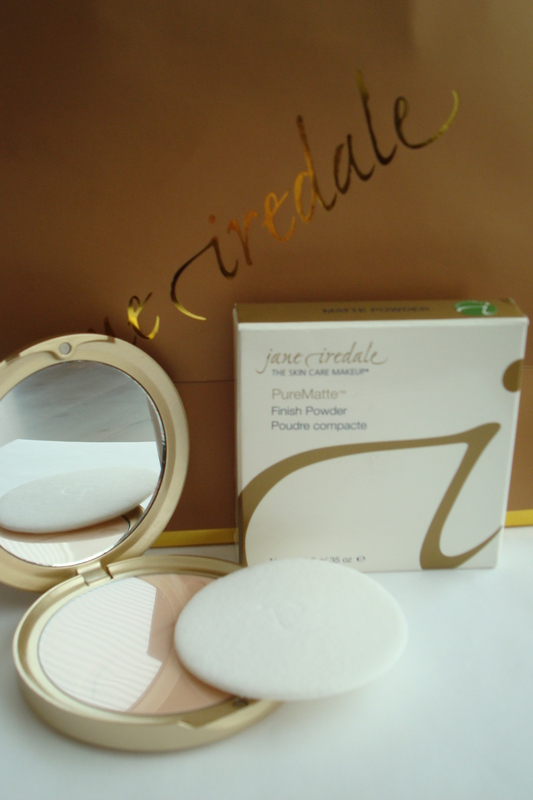 Jane Iredale PureMatte finish powder get’s a TEN!